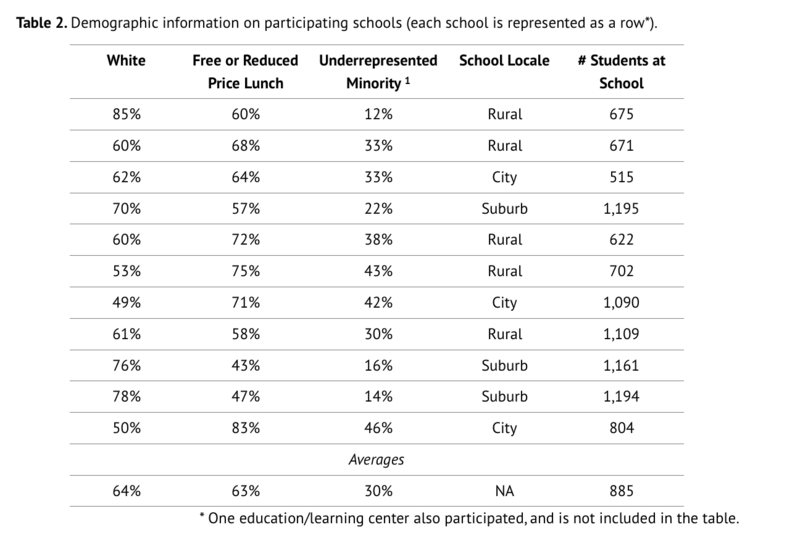 In the largest study to date of NoRedInk’s effect on student learning, WestEd partnered with a mid-sized, diverse public school district in the southeastern US to investigate the correlation between NoRedInk mastery and performance on the NWEA MAP Language Usage assessment. The study tracked the growth of 7,330 middle school students on the MAP test between the fall and spring of the 2015-2016 school year. 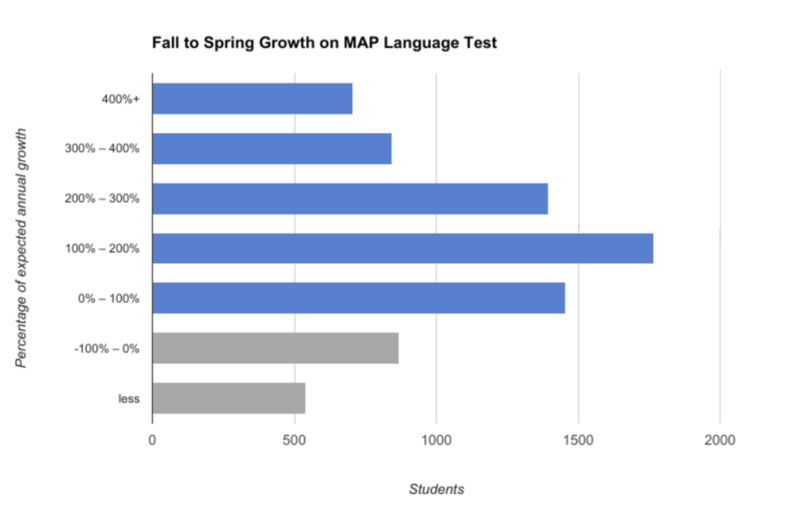 The study confirmed that “NoRedInk performance is a robust predictor of end-of-year language growth” regardless of race, gender, grade, and baseline MAP score (WestEd 2017). 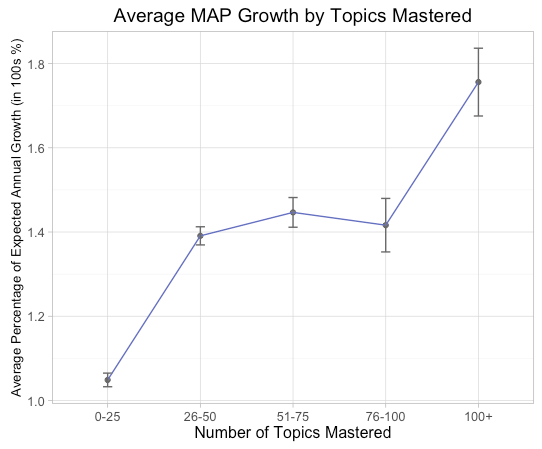 Every 10 topics mastered on NoRedInk correlated to achieving 20% of expected annual growth on the MAP Language Usage test. 37% of students grew by 200% of expected annual growth or more. The study is an important validation of NoRedInk’s topic mastery algorithm as students who achieved mastery according to the algorithm, on average, performed better on the MAP. The findings of this study could have important implications for schools and districts seeking to understand best practices in curriculum planning. Structuring professional development and instructional goals around mastery instead of mere usage allows teachers to rely on NoRedInk’s adaptive engine to progress students through each learning path. Using the site for mastery-driven practice as NoRedInk recommends may be a key reason in students’ impressive test score growth. View the entire study here.